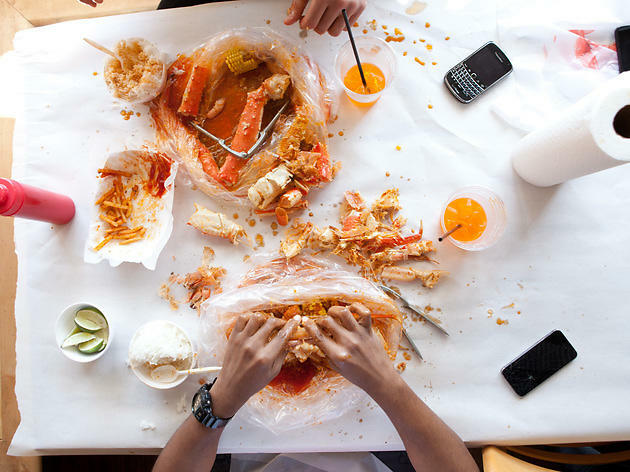 Photograph: Martha Williams The Angry Crab is one of the best new openings of 2015. Somehow, 2015 is already half over, and so far this has been a seriously delicious year at new Chicago restaurants and bars. 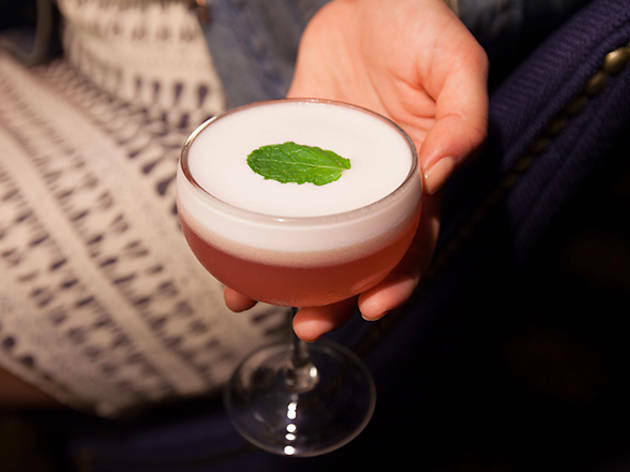 It's been an especially great six months for cocktail bars, with newcomers Lost Lake, the Drifter and Broken Shaker joining an already strong scene. On the restaurant side, everything from Intro, a rotating fine dining concept, to the low-brow Taco in a Bag have impressed me, and I regularly daydream about cracking open crabs at the Angry Crab, a BYOB Cajun seafood restaurant. When people ask me which new restaurants and bars they should go to, this is the list I give them. 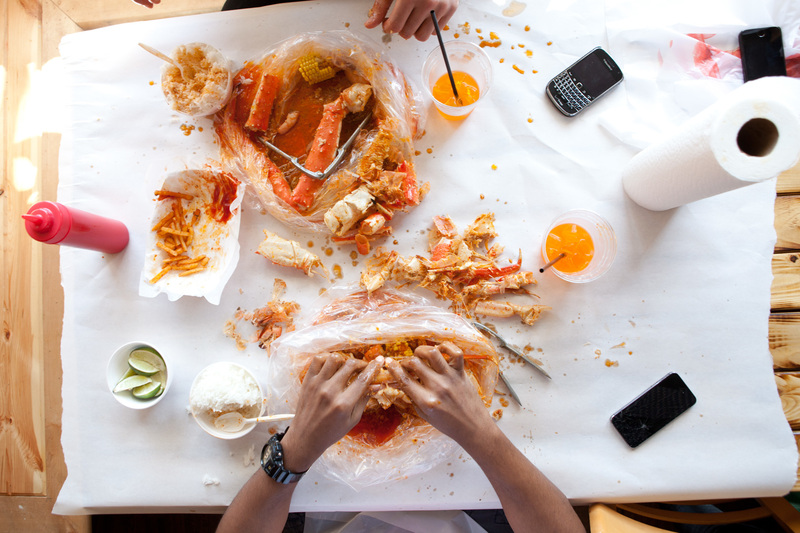 If there's a Chicago restaurant that's more fun than the Angry Crab, I haven't found it yet. 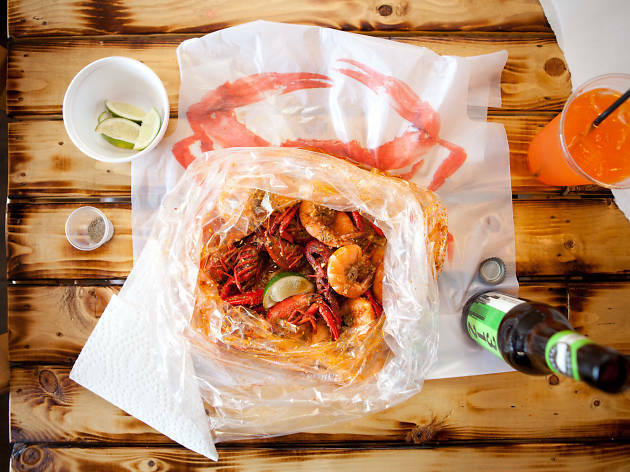 The BYOB Cajun-style seafood restaurant serves up impeccable seafood like clams, crabs, lobsters and shrimp sold by the pound and tossed with your choice of spice—lemon pepper, garlic butter, Cajun or all three mixed together. The luxurious garlic butter and spunky Cajun spice are the best, and they're worth the long wait for a table—and the mess you'll make eating them. Bring along some beer or wine, then get cracking. 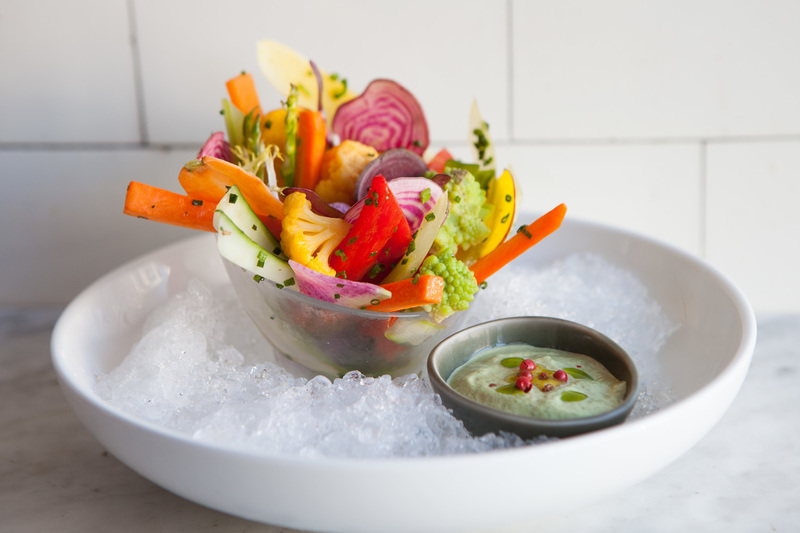 Boeufhaus opened quietly in April but has been attracting attention ever since for its quality beef dishes (the cheesesteak served at lunch is a satisfying sandwich, with shaved ribeye, melty American cheese and charred onions), as well as its thoughtful vegetarian options, like the fresh crudités served on ice alongside a creamy Green Goddess dressing. But perhaps my favorite thing about the place is its lack of pretension and comfortable dining environment. 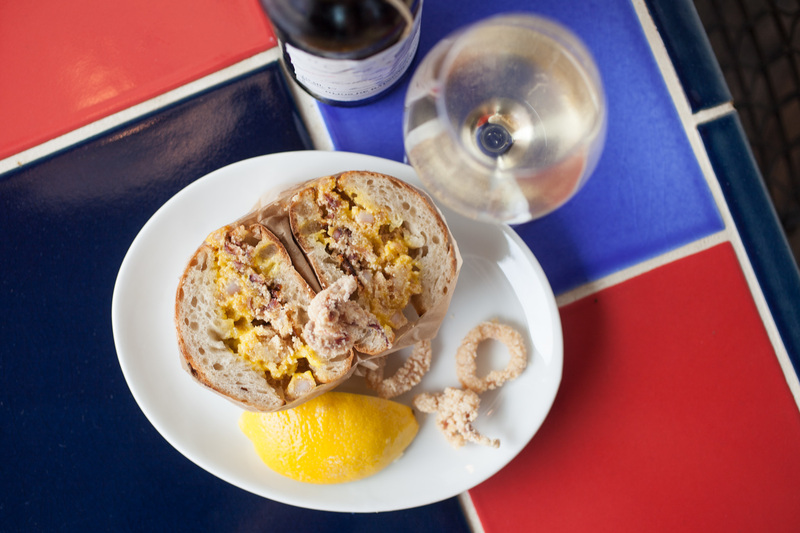 The Spanish surge continues with this rocking cava bar that opened in Wicker Park in May. 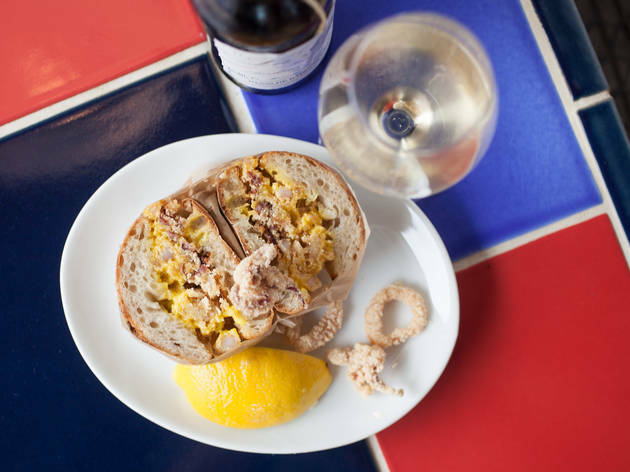 The bar, from the Pops for Champagne team, focuses mostly on cava, sherry and other Spanish wines and serves tapas, like the fried squid bocadillo, a sandwich packed with tender squid, saffron aioli and a squeeze of lemon on top. Save room so you can end with a wedge of creamy manchego cheesecake. River North got yet another awesome cocktail bar with the opening of the Chicago branch of the Miami hotspot. 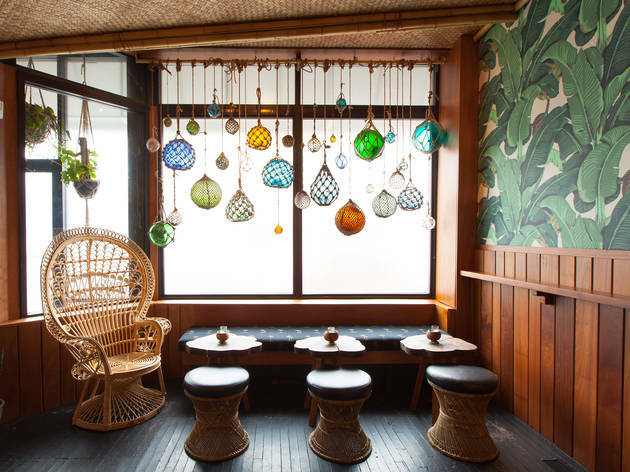 The vibe is tropical-meets-Midwest, with palm tree wallpaper and octopus decor along with dark wood panels and kitschy knickknacks. Under the watch of Chicagoan Freddie Sarkis, the bar turns out balanced, inventive drinks like the Godmother, a tart, lightly smoky mezcal and sherry cocktail with citrus, roasted corn reduction and a rim coated with savory chapulines (yep, that's grasshoppers) herb salt. I'll be offering a full guide to the eating and drinking establishments at the Chicago Athletic Association very soon, but it's safe to say that this is the biggest opening of the summer. Between bocce and an oustanding collins in the Game Room, elegant throwbacks like shrimp cocktail and grasshoppers at the Cherry Circle Room, a killer view of Millennium Park and an inventive carrot cocktail at Cindy's, you could do several days' worth of great eating and drinking here. I can't wait to explore more. 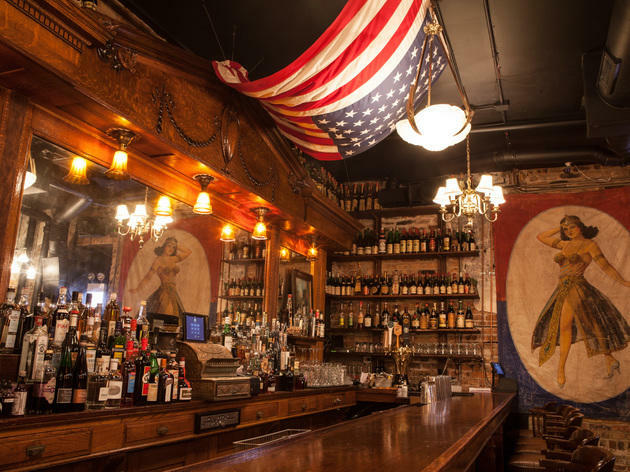 The award for the most unique new bar in town goes to the Drifter, Liz Pearce's funky new bar underneath Green Door Tavern. 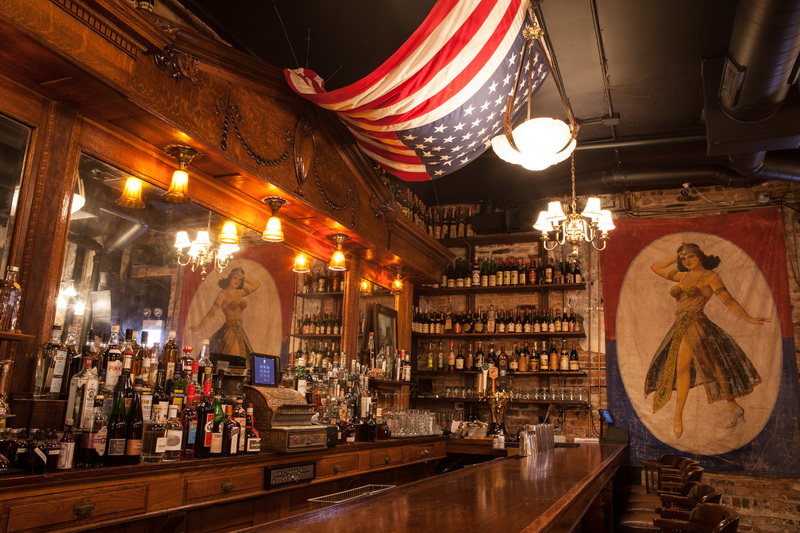 Located in an old speakeasy space, the decor consists of objects that have been there for decades, like a painting of FDR and a bullet-riddled Mobil sign. 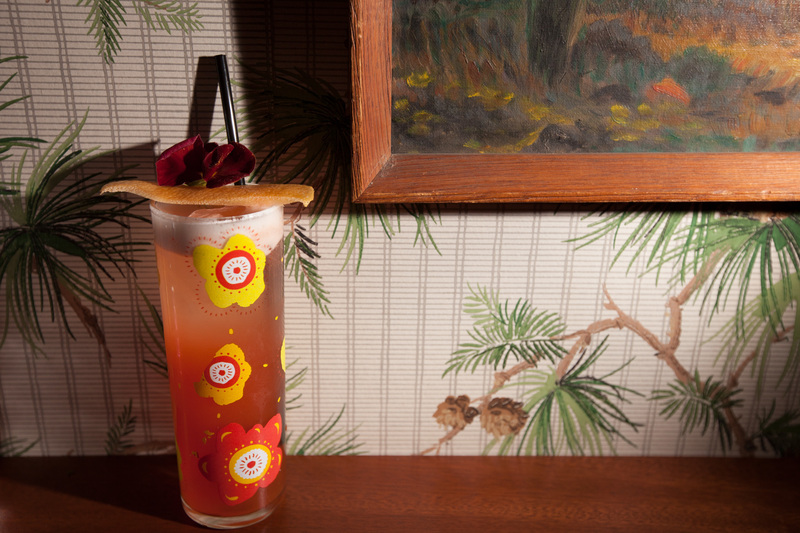 The drink list is printed on tarot cards, and a fresh offering is plucked from the deck each night. No matter what cards come up, though, you'll find well-made cocktails. Formento's, the new spot from B Hospitality Co. (The Bristol, Balena), opened in January and is a welcome addition to the Italian restaurant scene. 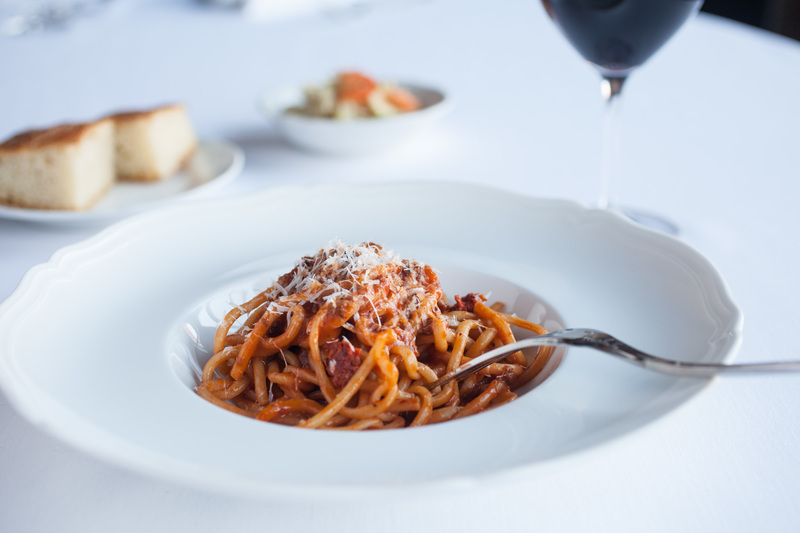 Under chef Tony Quartaro, the menu offers elevated takes on classic Italian-American dishes, like fettuccine alfredo and chicken Parmesan. 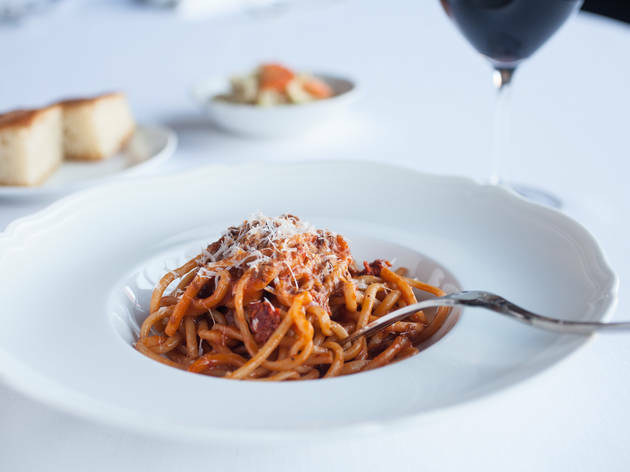 The dining room has an old-school vibe, with red leather banquette seating and white tablecloths, and it's a fun, comfortable spot to spend a few hours digging into meatballs, a relish tray and an elegant quail saltimbocca. Desserts are a must order—the tutti-frutti spumoni and the creamy, minty grasshopper cocktail add up to a perfect ending. 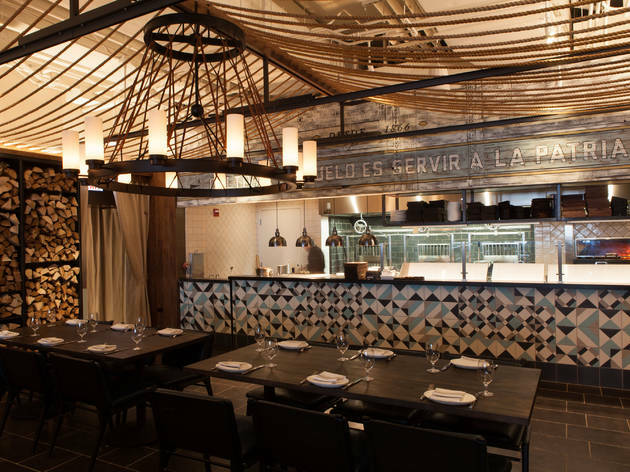 When L2O closed in 2014, it reconcepted into Intro, a restaurant with rotating themes, menus, decor—and chefs. While I was initially skeptical, the first two iterations made me put that skepticism aside. First up was CJ Jacobson, an LA chef best known for two stints on Top Chef. He set a high bar with a menu that merged Midwestern and California ingredients. In May, Erik Anderson, a Chicago native last at Nashville's Catbird Seat, took over. He'll be opening his own restaurant in Minneapolis, and that city is in for a treat—Anderson hung taxidermy on the walls, plays Iggy Pop and serves foie gras tarts with tiny salted strawberries and hazelnuts and a savory roasted hay custard, snug in an eggshell. With a start this good, I'd be willing to go to the next dinner without even knowing who the chef is. 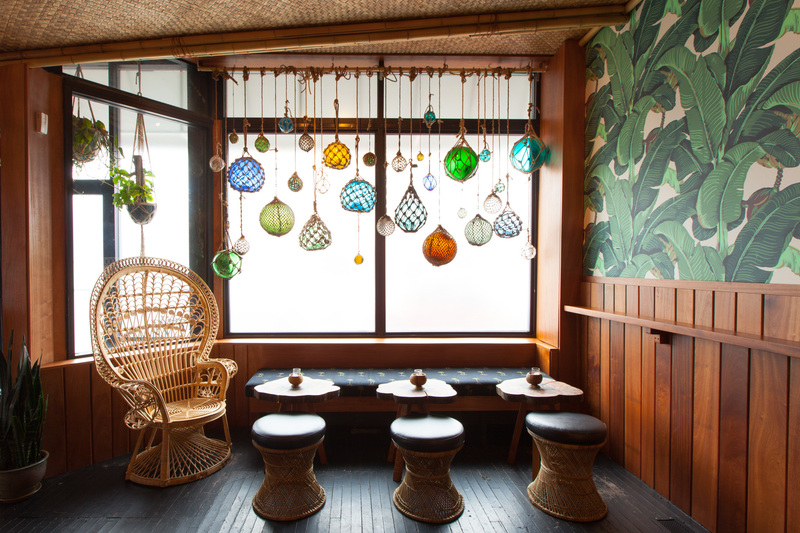 When bartender Paul McGee left Lettuce Entertain You and joined Land and Sea Dept., the first order of business was a new tiki bar. And what a tiki bar it is. 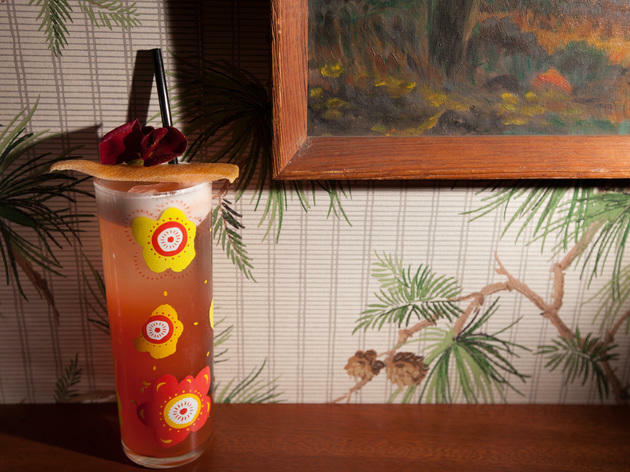 Lost Lake has the casual vibe of a corner bar—just one that serves excellent drinks. The namesake Lost Lake is an easy place to start, while the Pool Rules, perfectly balanced between rum and bourbon, with vanilla and nice warm spices, is something I want to drink all night. If you are drinking tiki cocktails all night though, make sure to order snacks from Thank You, the Chinese-American spot next door. 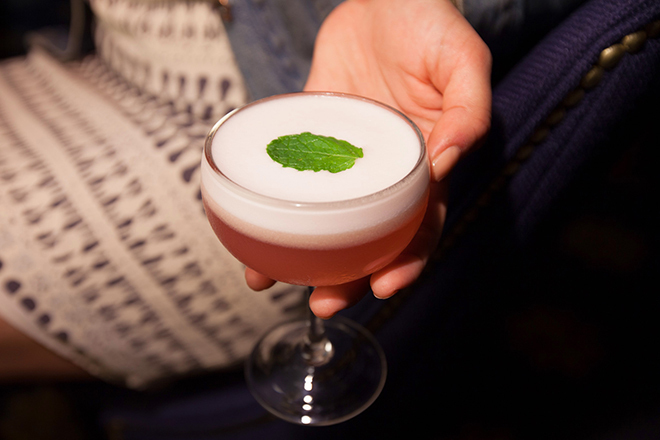 I lamented the closing of SmallBar Division, but the opening of Heisler Hospitality's British-Indian Pub Royale in that space is a wonderful consolation prize. 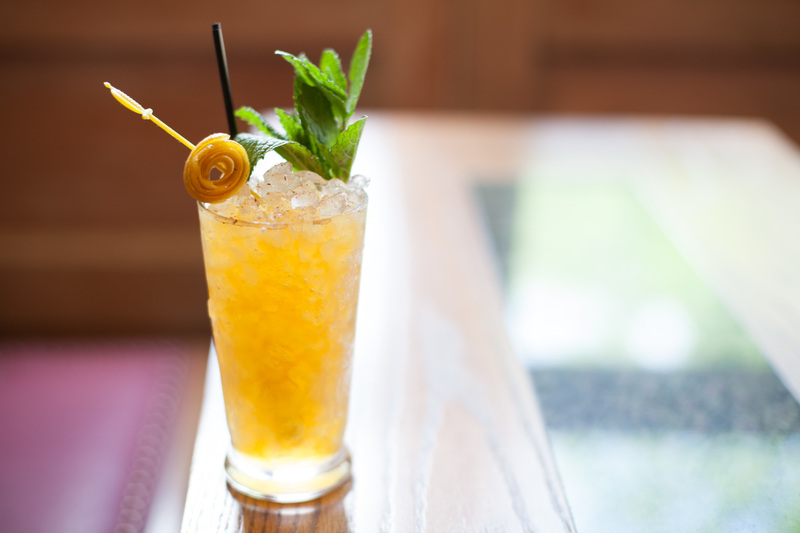 For drinks, there's a lineup of Pimm’s Cups and a daily-changing beer and cider menu from beverage director Michael McAvena. But you won't want to leave this bar without a snack (or a full meal)—Jason Vaughan's menu is packed with hits, including spicy lamb dumplings and samosas stuffed with salted cod. 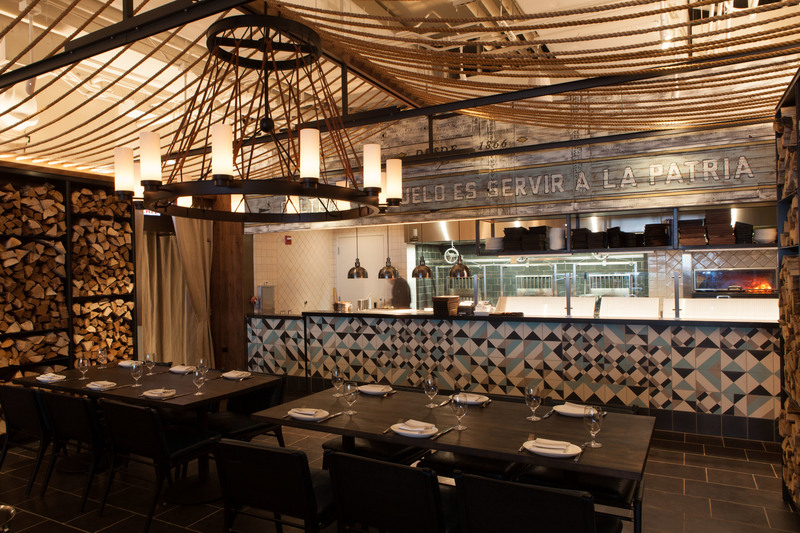 Located in the new Loews Hotel, Rural Society is the second location of Philadelphia chef Jose Garces’s (Mercat a la Planxa) Argentine restaurant (the first opened in DC last July). And it's not just a great place for Argentine food, it’s a great steakhouse. The dining room feels like a barn and smells like smoked meat (this is a good thing), and it's a cozy spot for flaky Swiss chard empanadas, a gorgeous filet, and grilled lobster, perfectly cooked, lightly smoky and luxuriating in butter. 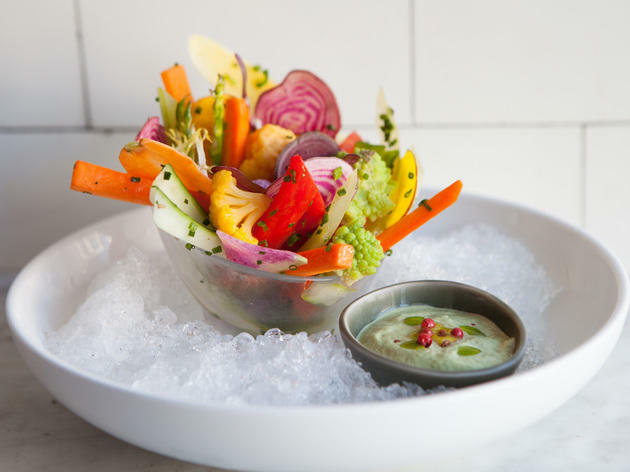 Welcome to the new era of hotel dining. 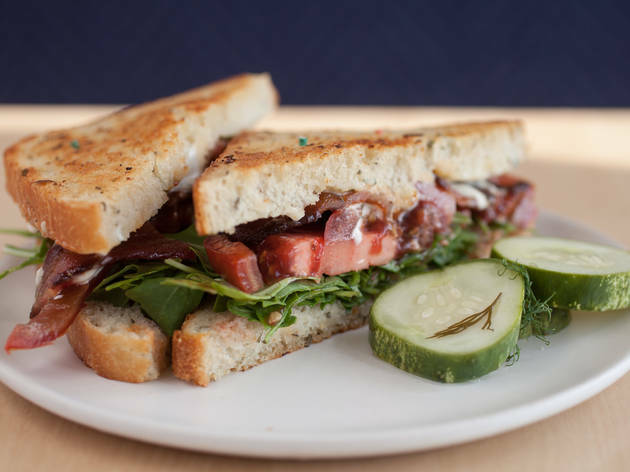 From the owners of Flipside Café, the winter pop-up in the Miko’s Italian Ice Bucktown space from 2010-2013, comes Same Day Cafe, arguably the cutest restaurant in Chicago. The café is bright and airy, with light woods, bar seats and a handful of patio tables, and the food and drinks are excellent. 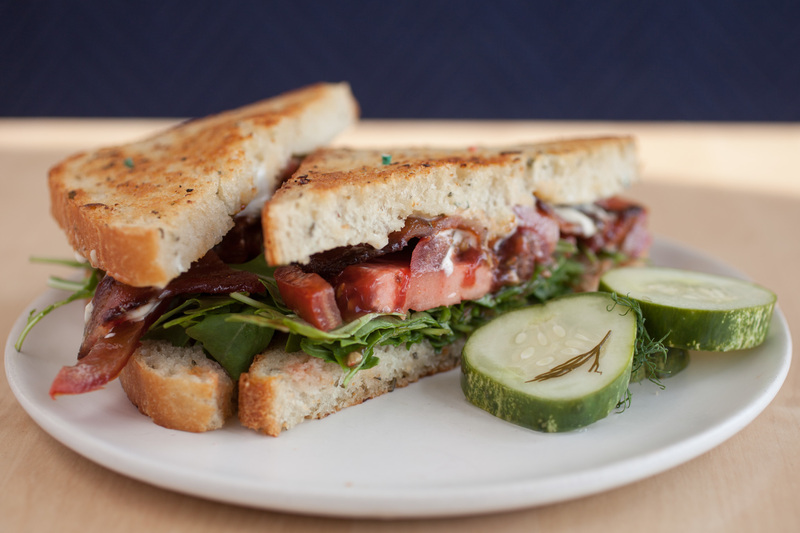 Chef Chris Colson turns out simple but great dishes, like grilled ham and cheese, while the house sodas include the refreshing tart Michigan cherry. 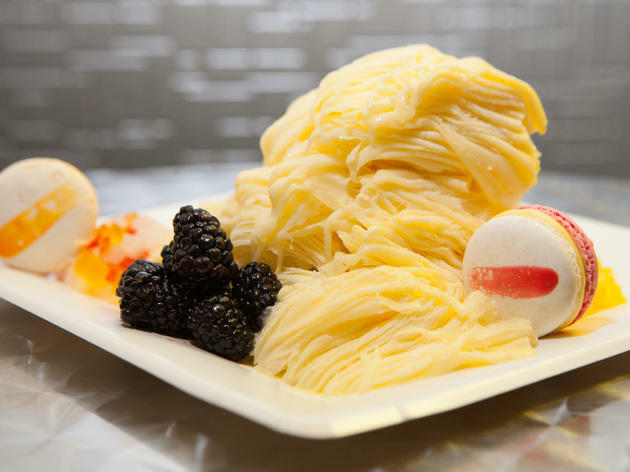 Snow Dragon Shavery, which serves Taiwanese-style shaved snow, opened in Lincoln Park just in time for summer. 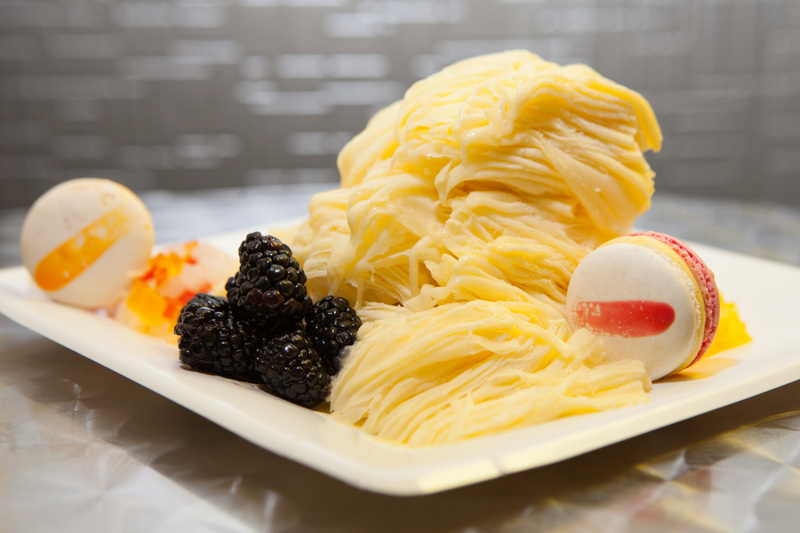 There are more than 10 flavors of shaved snow, including green tea, vanilla and chocolate, along with frozen yogurt, fresh coconut water and baked treats. 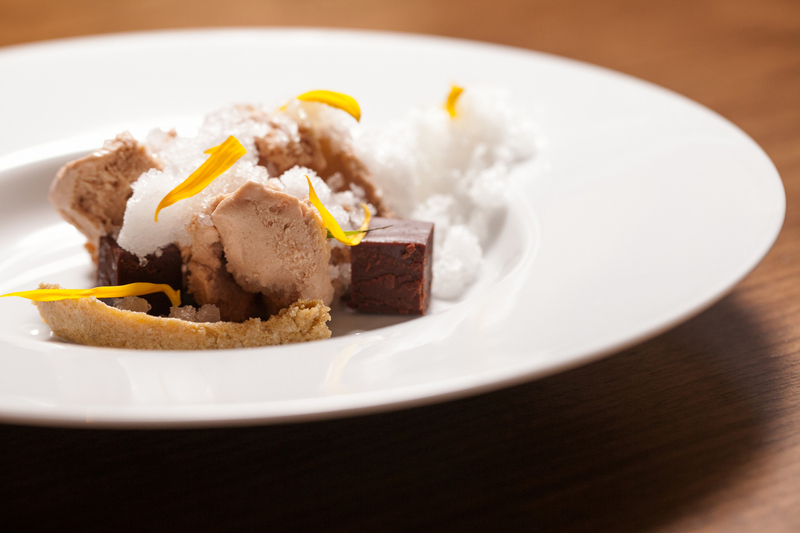 The snow is flavored and frozen into a block, then shaved onto a plate in front of you. Then you can add on toppings, including fruits, jellies, boba and candy. The result is a light-as-air treat perfect for hot summer days. 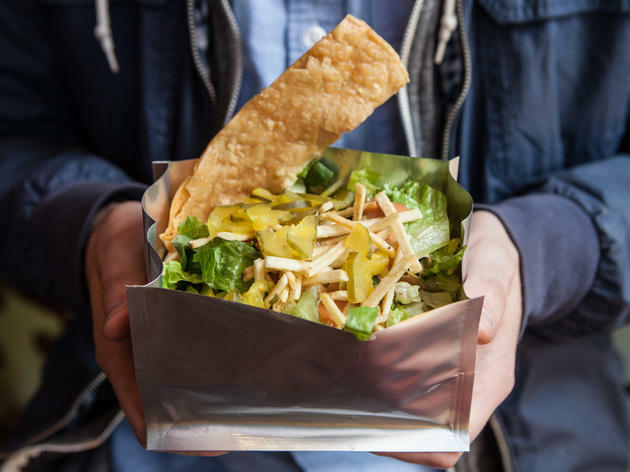 When two competitive eaters team up to open a restaurant, the result is something like Taco In A Bag, which serves exactly what the name promises. 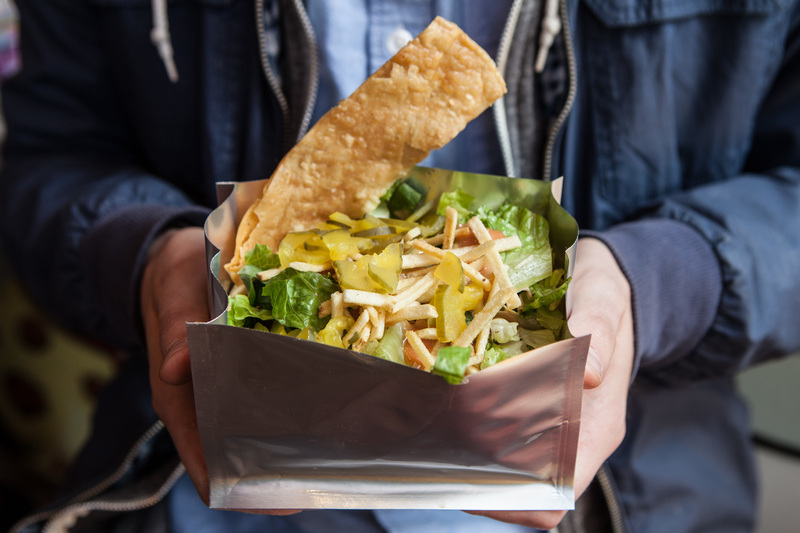 While the taco combinations vary in success, standouts incude the Cheeseburger Nachos, with beer-braised ground beef, cheese sauce and special sauce, and the Miki Sudo, with black bean and corn salsa, citrus-marinated shrimp, romaine, cilantro and a healthy dousing of sriracha. 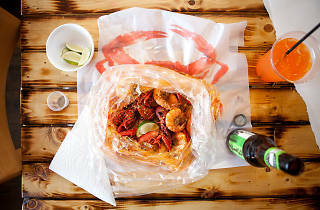 While tacos in a bag are fun to eat at any time, the restaurant is open until midnight Sunday-Thursday and 2am Friday-Saturday, which makes it an ideal last stop on an evening out.